The RSA Special Needs Program closed its 2012 season on an inspiring note. After an award ceremony, special needs players lined up for a farewell hug from their high school mentors in an upbeat display of affection marking the end of a special season. 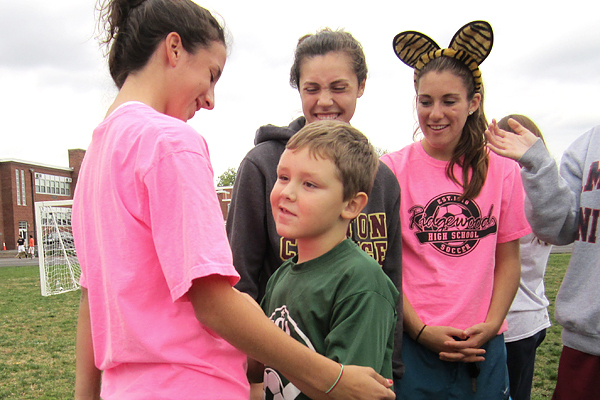 RSA’s Special Needs program offers young players individual attention and instruction from a very caring group of athletes on the Ridgewood High School Women’s Soccer Team. 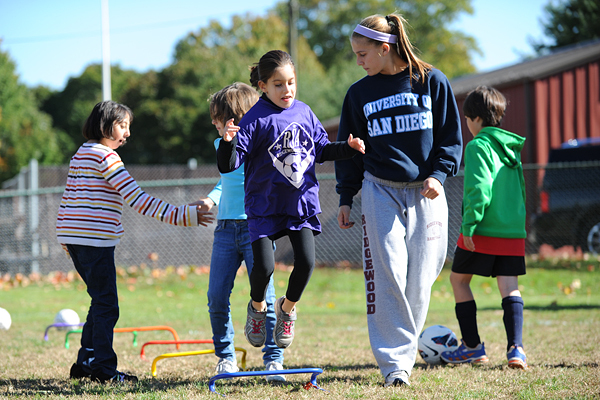 The high school girls adapt their own warm ups, soccer drills and games for special needs players, with the goal of providing a fun, recreational soccer experience. 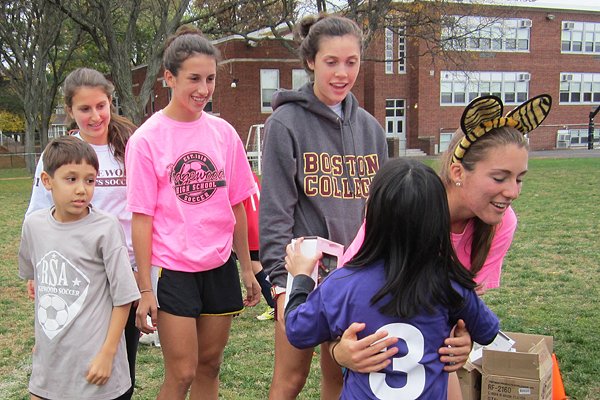 The 2012 season saw a record turnout of high school mentors, led by RHS Varsity Assistant Coach Jackie Hurley and senior captains Maura Feeney and Jaqui Roth. RSA is grateful to the many RHS volunteers who gave their time to serve our community. In addition to Maura and Jaqui, we also want to thank the other seniors who are ending their participation in the RSA Special Needs program: Emily Entwistle, Julia Granski, Abbey Munro, Sirai Ramirez, and Jessica Steinacker. Under sunny skies and ideal field conditions this year, our players greatly improved their soccer skills from week to week, with lots of encouragement from parents. This season featured a hard-fought game between parents and the high school girls (fortunately, no parents were injured! ), and a players vs. parents game (the players won easily). As the players accepted trophies, cheers and hugs from their high school mentors, another memorable season came to an end.